Myths is a collection of musical narratives woven into a story. Embark on a journey through a mythical world, wander through its vast landscapes and meet the fantastic creatures and colourful characters that inhabit it. 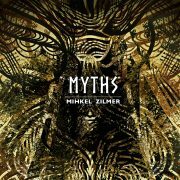 Inspired by video games, Myths is an exploration of the orchestral fantasy genre. Prepare for an adventure!